I Would Like to Make a Leadership Gift! YES, I want to continue to put my money where my values are by helping Green America build an economy that is good for people and planet. Are you an international supporter? 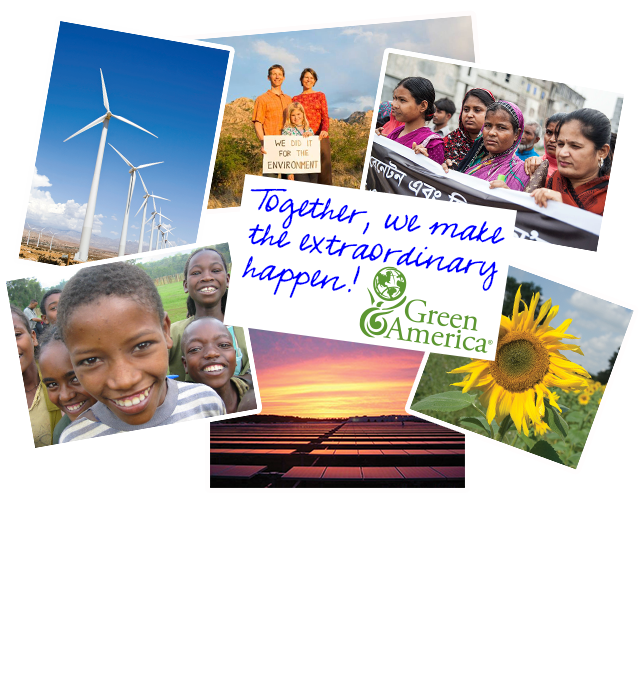 I would like to receive email communications from Green America. My billing info matches my contact info.